Living close to the Florida Everglades makes it easy to get away from the hustle and bustle and enjoy the tranquility of nature. Reconnecting with nature is a great way to de-stress and forget your problems…even if only for a couple of hours. Going into the Florida Everglades at night is a different experience. It is amazing but also mysterious. The sounds of the night, a far off splash in the water, owls hooting in the distance, and millions of stars glowing in the night sky all around you. It can be a little unnerving and not as relaxing as a visit during the day, yet it is truly breathtaking and yields wonderful treasures for those brave enough to explore the wonders of dark sky country. There is no phone signal out here so bring a friend, let somebody know where you are going, and brings plenty of insect repellent ;) It may not sound appealing to many, but exploring the Everglades at night is one of the most exciting and rewarding experiences for me both as a photographer and nature lover. “Galactic Ocean” – The full arc of the Milky Way at Big Cypress National Preserve. 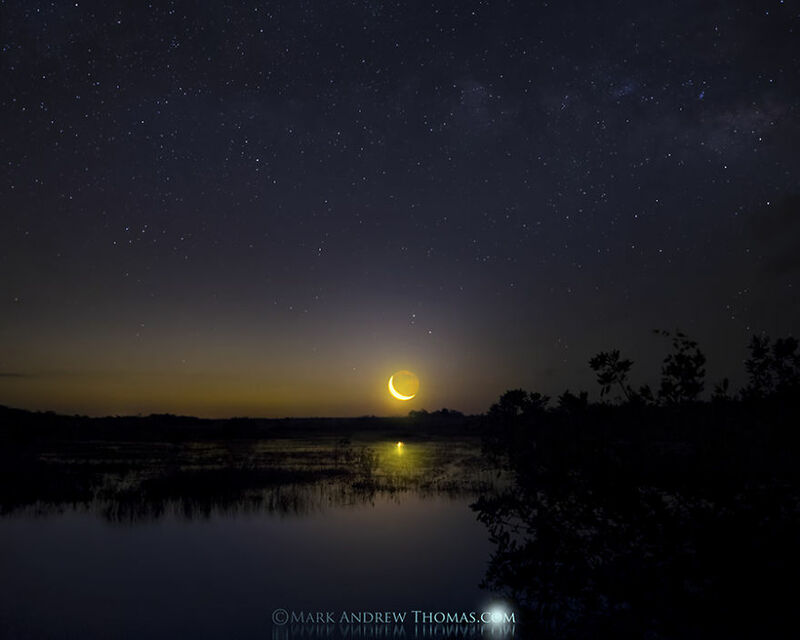 “Swamp Moon” – A setting crescent moon casts an eerie glow over the wetlands. 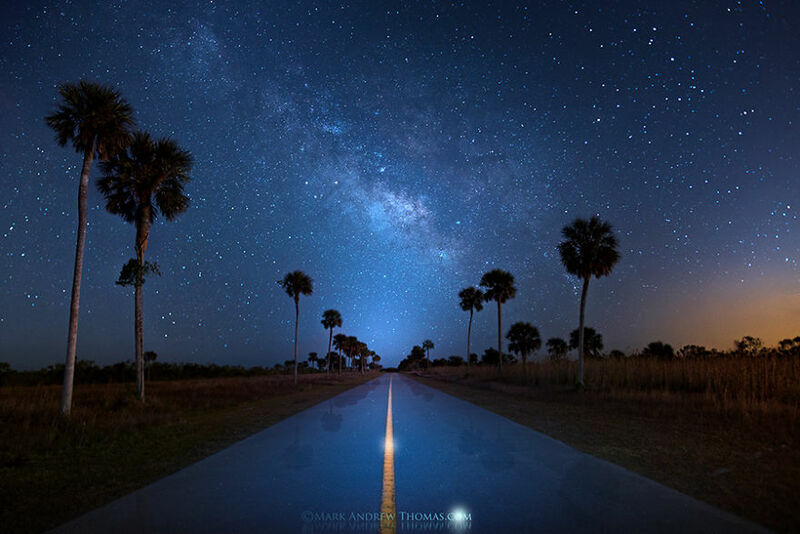 “Galaxy Speedway” – One of the roads leading into Big Cypress National Preserve. 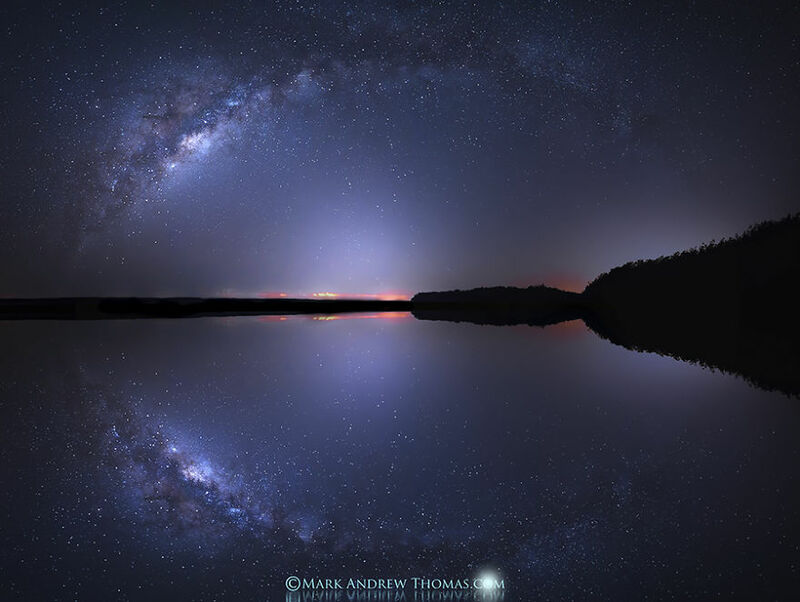 “God” – The Milky Way over a big lake in Everglades National Park. “The Shallows” – A big alligator moves in for a closer look. “Celestial Oasis” – The Milky Way just before sunrise at Big Cypress National Preserve. 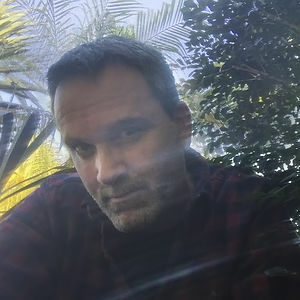 My name is Mark Andrew Thomas and I’m a photographer and filmmaker based in Ft. Lauderdale. I've been lucky enough to have my work featured on Science Channel, Animal Planet, and National Geographic. I’m currently hard at work filming and producing the wildlife documentary feature “Birth of a Predator” for release in 2017.